Police investigating after swastikas were found spray-painted on sidewalk in neighborhood of Greenpoint. Swastikas were found spray-painted on a sidewalk in the Brooklyn neighborhood of Greenpoint on Monday morning, reported JTA. Police are investigating the graffiti, which was found on Newel Street near an intersection with Norman Avenue, according to the Greenpoint Post. In January, a vandal drew two foot-long swastikas outside the apartment door of an elderly Jewish woman in Brooklyn. In December of 2018, at least three large swastikas were spray-painted in Greenpoint. 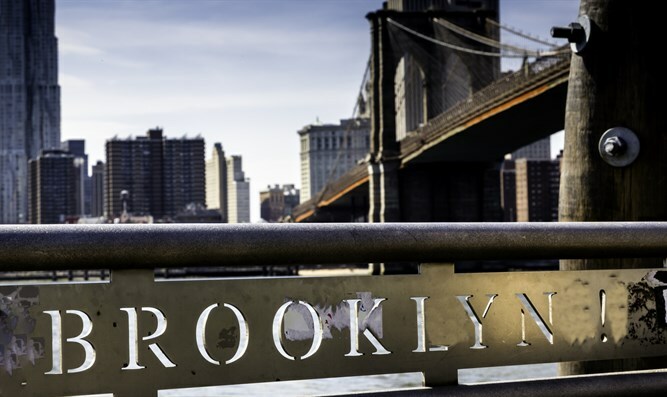 There have been several anti-Semitic incidents in Brooklyn in recent months. In January, two Jewish men were violently beaten by a gang in the Crown Heights neighborhood. A week earlier, a Jewish woman walking in Crown Heights was punched by a black male who then ran off. Two weeks before that, an Orthodox Jewish teenager was assaulted by a group of black teens in Crown Heights.